This week’s “F.I.L.M. 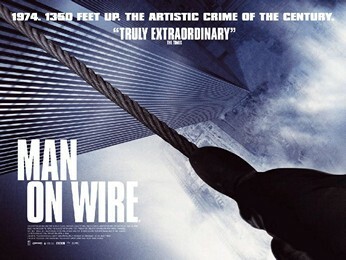 of the Week” is “Man on Wire.” It is truly one of a kind: a documentary that feels like a movie. I seldom watch documentaries, but I decided to watch it a few months ago because it had won the Oscar for Best Documentary and it had received unanimous critical praise. The filmmakers tell the story of Philippe Petit, the daring trapeze artist who walked on a wire between the World Trade Center towers in 1973.